I can not tell you how excited I was when I was picked to do a review and giveaway for a Hallmark Keepsake Ornament. It is a holiday tradition in my family to get a Christmas ornament every year. This is the one present that we always know we will receive from my mother. She gets a Christmas ornament for everyone in the family. It was funny last year when I heard my cousin and her kids talking about it. The kids could not wait to find out what ornament they would get that year. 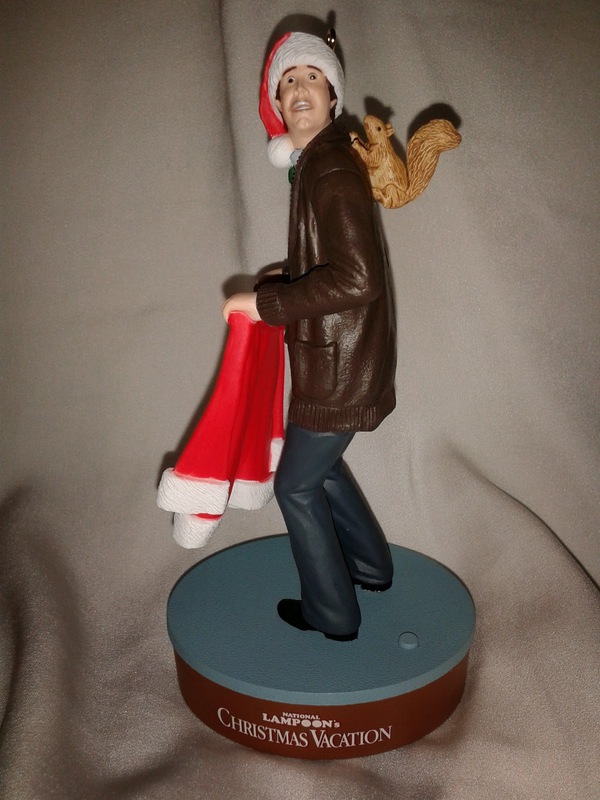 Luckily, I got to pick the Hallmark Keepsake Ornament that I wanted to review. I picked the Squirrel from The Christmas Story. This is the perfect ornament for my husband. Squirrels and my husband are a private joke in my family. Let me tell you why. One year my husband went to visit his sister in Washington, DC. I had to stay at home with the kids. He spent one of the days sightseeing on his own. I got a call that night that started freaking me out. He told me "I was attacked today". My first though was that someone mugged my 6'9" husband. Of course, my first thoughts were "are you okay?" "What happened?" Obviously, he was fine since he had called me but my mind kept running around in circles. I wanted to be there with to make sure for myself that he was not hurt. Then he proceeded to tell me what happened. He said he was walking around the National Mall. It was cold and snowy. He saw some squirrels. He decided to feed them some of his Snickers because he felt bad for them. This is where I went quiet because I didn't want to bust out laughing at him. While he was feeding these poor unfortunate squirrels, he saw out of the corner of his eye a "small animal that looked like a little dog". This small animal was running straight for him. Well, it wasn't a small dog. It was a full grown squirrel. He had been feeding the squirrels babies. Then squirrel did not stop running for my husband. In fact, the squirrel kept running and ran up my husband legs and stomach. This momma squirrel proceeded to get into his face and "started yelling" at him. It then did a back flip off of him. My husband ended his story saying how he had just stood there freaking out and protecting his face. He was quiet then. After a couple of beats, I told him "maybe she thought you were a tree", and then busted out laughing. I guess he didn't think it was too funny at the time because he proceeded to say that he had to go and hung up the phone. We have laughed about this for years. It is a favorite story. He even tells his students every year about this episode at the beginning of the school year when he introduces himself to the kids. Now, he has a classroom full of squirrels not to mention all of the ones he has at home. So, I couldn't pass up getting this ornament for him. I love it. Not only does it kind of resemble my husband but it is also from his favorite Christmas movie, The Christmas Story. The ornament is perfect. It even has an audio clip from the movie about the squirrel on the man. I laugh every time I here him screaming and yelling when he realizes the squirrel is on him. I can just picture my husband doing the same thing. I have always loved Hallmark Keepsake Ornaments but I love them even more now. There is something for everyone. Another one, I will probably get is one from The Little Mermaid, that also has an audio clip, for my daughter. When The Little Mermaid came out my daughter was 2 and had to spend Christmas in the hospital. She loved, well I should say loves The Little Mermaid. That Christmas is what we call The Little Mermaid Christmas. She got a Little Mermaid bean bag, the movie, stuffed animals, figurines, and much more. Did you know that Hallmark has a sweepstakes going on right now? You can enter the #KeepsakeIt Sweepstakes here . All you need to do is share your Keepsake moment with the hashtag #KeepsakeIt on social media. There are some awesome prizes but the sweepstakes is only open through 12/18/14. 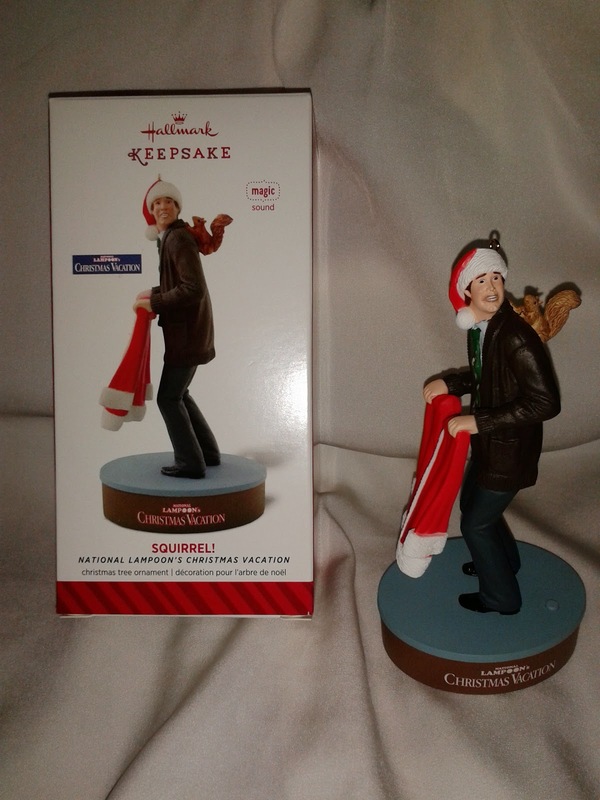 In addition, one of my readers will win a Hallmark Keepsake Ornament. All you need to do is enter using the Rafflecopter form below. The giveaway will end on December 12th and I will be picking a winner on December 14th. Good luck!! Don't forget to do the daily entry options.